Give a child a camera, and they instinctively know what to do. The need to frame the world between four straight lines, and the act of marking or freezing or acquiring that moment with a click seem to be primal, universal drives. A way of trying to understand our ever-changing environment. Even chimps will play with reality by hiding their eyes for a while, and then allowing the world back in. As a young chimp, I remember being fascinated by the rainbows created by the sun shining through my black woollen blazer, as I sat, with a row of companions like Mexican layabouts, looking at the sun through our school ponchos. Everyone loves a kaleidoscope. A friend of mine turned up with her 7 year old son the other day. I gave him my old OM1 to play with and he was completely absorbed. Apart from the beauty of the machine, what seemed to really excite him was the act of controlling and even owning the moment with a click. Plus the sense of Action at a Distance when using a gun or a hose or flying a kite or fishing. The fact that he was not actually recording anything on film didn’t matter. But what did was the attempt to make some sort of order out of the whirlwind world. Maybe that’s all Play is, and it’s what we’re all still trying to do. I suspect budding photographer Tyran Gray from Granville St. James in Jamaica was doing just that in his image ‘Life Sweet’. And by doing so created an image which would easily stand up to professional standards in terms of its honesty and visual grasp of the situation. I look forward to seeing more of his work. 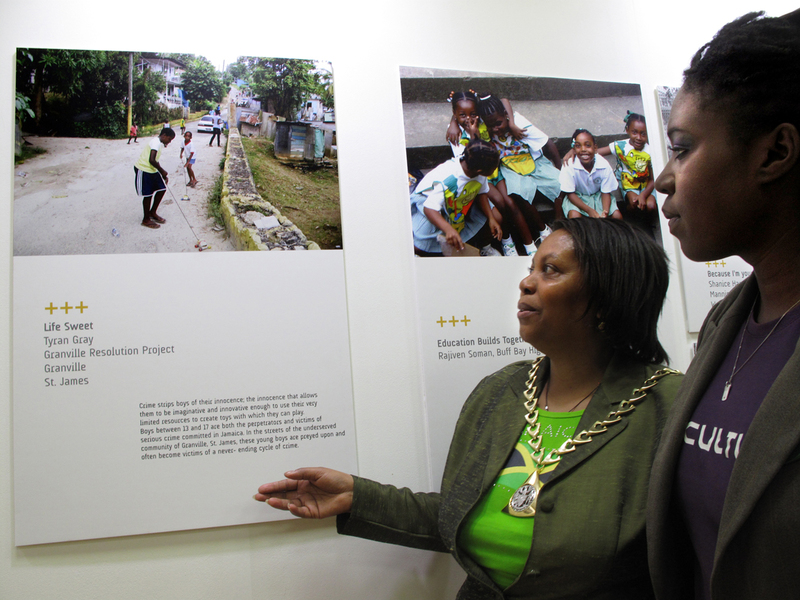 Cllr Althea Smith, Mayor of Southwark. ‘Life Sweet’ Tyrone Gray. ‘Interpretations’. Elephant & Castle 2012. National Geographic Kids Photography 2012: the winners.